The village of Jühnde in Lower Saxony was the first bioenergy village in Germany. Since autumn 2005, the space heat and electricity for the village's buildings have been supplied by a local biogas plant using locally sourced fuel. 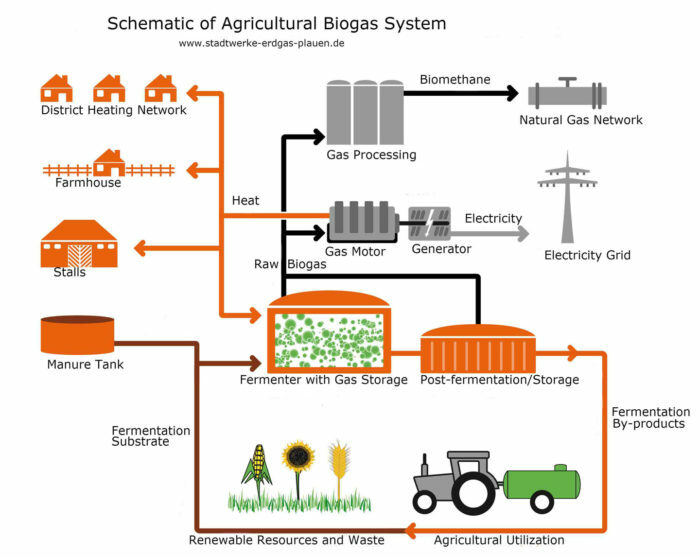 Image Credit: Image #1: Wikimedia Commons Schematic of the biogas cogeneration plant in Jühnde, Germany. Image Credit: Image #2: www.fnr.de Biogas plant, wood chip boiler, and photovoltaic array in Mauenheim, Germany. Image Credit: Image #3: www.bioenergiedorf-mauenheim.de Biogas schematic for Plauen, Germany. The notion that a village can produce as much energy as it consumes is not new in Germany, nor is it exclusive to this country that has set aggressive targets for renewable energy use. 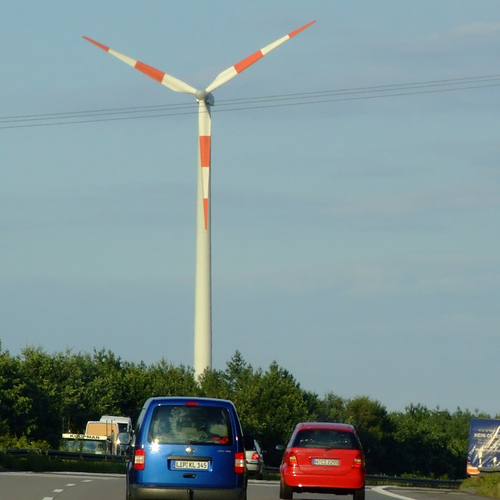 In the mid-1990s, for example, the Austrian village of GÃ¼ssing began implementing strategies to use local biomass to produce electricity and heat, and the Danish island community of Samsø installed wind turbines to meet its electrical needs. In recent years, however, the idea of Bioenergiedörfer, or “bioenergy villages,” seems to have captured the public imagination in Germany. Last month I attended a conference called “Bioenergy Villages 2014” that provided a great overview of the bioenergy village movement in Germany. 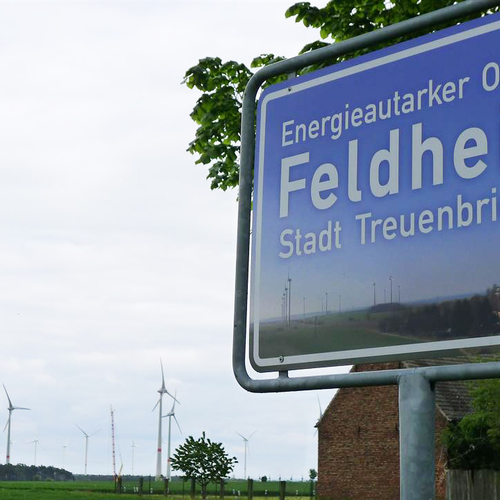 The first village in Germany to be officially recognized as a bioenergy village was JÃ¼hnde, in the state of Lower Saxony. In 2005, a cooperative within this village of 780 inhabitants and 450 cows built a biogas production facility fueled by silage plants and manure. The gas from this plant is burned in a communally owned cogeneration plant that provides electricity and heat to buildings in the village. Eventually a wood chip-fired boiler was added to the district heating system to provide supplemental heat (see Image #2, below). 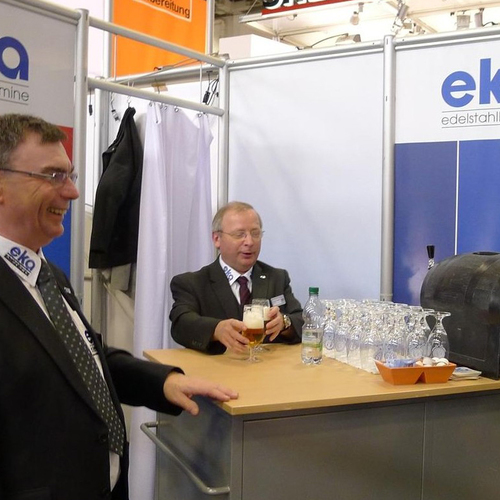 Every year, thousands of visitors descend on JÃ¼hnde to be educated and inspired. These days the town produces over twice as much electricity as it consumes. The citizens are now participating in an electro-mobility pilot project that is exploring ways to use the excess power to serve local transportation needs. The examples of JÃ¼hnde and other early adopters of the bioenergy village concept have encouraged communities throughout Germany to pursue similar strategies. During the past nine years, the knowledge base to support the development of bioenergy villages has grown rapidly. The local and region-wide economic benefits of these villages have also been well documented. There are currently about 150 communities in Germany that are officially registered as bioenergy villages. Hundreds more are in the planning phases. Value is created locally, and the benefits extend regionally. Although bioenergy villages have characteristics in common with one another, they may differ widely in form. As one speaker at the conference put it, “The commonality of bioenergy villages is their broad individuality.” In other words, there is not one prescription for success. Bioenergy villages vary in organizational structure, raw materials used, technology installed, and financing models employed. 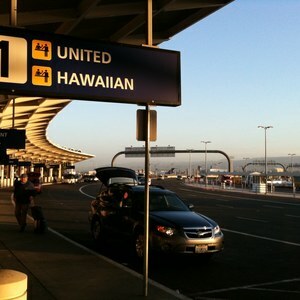 However, these communities tend to have common goals. While environmental concerns certainly play a role in the development of bioenergy villages, surveys reveal that the potential environmental benefits — particularly with regard to climate change — tend not to be the most compelling motivator for many people. The initial idea for a bioenergy village may come from individuals, from a group within a village, from an agricultural cooperative, or from a local business. The initiators undertake a preliminary assessment of the energy needs of the community, and the potential for these needs to be served by renewable resources. Local residents are surveyed to gauge their interest in participating, and to clarify their motivations. Ideally during this initial phase, a foundation of trust within the community is recognized and strengthened. Does the village have sufficient biomass potential to sustainably support the production of electricity and heat, without competing for other important needs? Is there strong interest among the residents to be connected to a district heating network? Are there large heat sinks within the community, such as a swimming pool, a school, large town buildings, or industrial facilities that could be integrated into the network? Are infrastructure projects such as street improvements, water/sanitation upgrades, or fiber optic installation being planned that could be combined with the burial of district heating pipes? On what areas should a feasibility study focus, how should the study be funded, and who within the community will oversee that process? How big an investment is required? Data available from bioenergy villages that have been operating for years are available to help guide these initial discussions. For example, the time-frame required to plan and implement a biogas generation plant coupled with cogeneration and a district heating network is typically two to four years. The initial capital investment for such systems may be between 0.5 and 4 million Euros ($700,000 to $5,500,000). The capital that a village cooperative typically invests is between â‚¬50,000 and â‚¬500,000 ($70,000 and $700,000). The price that a building owner might pay to connect to the district heating system ranges from â‚¬0 to â‚¬12,000, with an average cost of about â‚¬4,000 ($5,500). Typically between 50% and 80% of the buildings in a village are connected to the district heating network. Heating costs for residents connected to these networks have been ranging from â‚¬100 to â‚¬400 ($140 to $550) per year. In terms of land-use, between 100 and 500 hectares (between 250 and 1,200 acres) of forest are required when forestry waste is used to fuel a central boiler, and between 50 and 300 hectares (between 125 and 750 acres) of cultivated land can supply a biogas generator with the silage plants that are typically combined with manure. These numbers are wide-ranging because they depend on a variety of factors such as the size of the village, the configuration of the buildings, and the resources available. During the “Preliminary Planning and Groundwork” phase, working groups are typically formed to focus on specific areas such as management, technology, biomass, financing and communications. The working group on management develops models for owning and operating the energy systems, and establishes the appropriate legal entities. The technology working group researches options, visits existing bioenergy installations, and narrows the choice of technologies. The biomass working group confirms with local producers the sustainable supply of biomass, and develops logistics for harvesting, storage and delivery. The financing working group investigates subsidies and grants, contacts local banks, and assesses the potential for direct investment from members of the community. As skillful communication is a cornerstone of successful bioenergy villages, the working group on communications develops and implements a communication plan that encourages participation, emphasizes transparency of process, provides educational resources, and addresses specific concerns of the residents. The “Detailed Planning and Building” phase typically starts with commissioning a comprehensive feasibility study that forms the basis of ongoing planning. The feasibility study outlines the extent of the heating network and the capacity of the heating plant. It includes financial, technical and environmental parameters such as annual operating costs, ROI, pipe dimensions, transmission losses, cost increases, and CO2-savings. The calculations include an estimate of the cost of the heat to be supplied to buildings on the network. In Germany, such feasibility studies might cost â‚¬15,000 to â‚¬30,000 ($20,000 to $40,000), and take three to six months to complete. While the feasibility study is underway, financing for the project can be lined up. Based on the feasibility study, agreements are executed with the biomass suppliers, the contractors who will build the energy production and distribution systems, and the consumers of the heat and power. With the appropriate contracts in place, the design and engineering are finalized, and construction can begin. “Operating and Optimizing” a village-scale energy system requires ongoing training of personnel, troubleshooting issues that arise, and adjusting the system for optimal performance. As new buildings are constructed and more resources become available, additional buildings can be connected to the district heating network. Improvements to the efficiency of system components are also made — for example by reducing the heating requirement of buildings in the village, or improving the efficiency of pumps. “Further Development” takes many forms, including the implementation of innovative technologies and programs (process heat for commercial/industrial use, eco-tourism, electro-mobility, etc. ), the installation of photovoltaic arrays and wind turbines, the construction of additional biogas generators and cogeneration plants, and region-wide outreach and education. While these phases provide a convenient outline for planning the development of a bioenergy village, the reality is not so neat or predictable. Challenges to the process — both legitimate and ill-informed — can arise at every stage. Doubts will be raised about the projected costs, the efficiency and reliability of the installations, the potential environmental impacts, and disruption due to truck traffic. 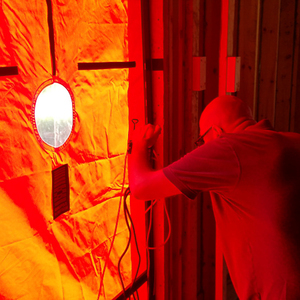 Resultant heating costs that are competitive with (or lower than) the status quo. One additional success factor is the ability of bioenergy village residents to see their community as a role model that can instruct and inspire other villages in the region and beyond. Several presenters at the conference suggested that a critical mass of experience and capability is being reached that could significantly accelerate the development of bioenergy villages. However, this optimism was tempered at the conference by pointed references to the government’s current discussions about revising the law that provides financial incentives for renewable energy production — the so-called EEG 2.0. 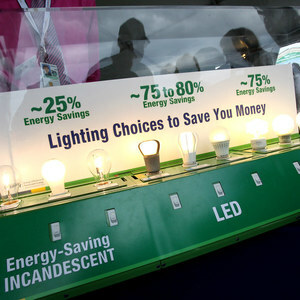 In order to try to curb what many perceive as unsustainable increases in the retail cost of electricity, the government may cut some of these incentives. Biogas installations and cogeneration plants are seen as potential losers in these negotiations. As the number of bioenergy villages in Germany increases, attention is increasingly being paid to scaling these efforts to regions, towns, and cities. The conference presenters showcased a number of towns and cities that have built on the concept of the bioenergy village. These larger communities typically have multiple cogeneration units fueled by biogas and natural gas that provide heat and power to neighborhoods and to complexes of buildings such as hospitals and schools. Photovoltaic arrays and wind turbines often contribute to the supply of locally produced power. In addition to being broadened geographically, the concept of bioenergy villages is being recognized as having diverse demographic benefits. 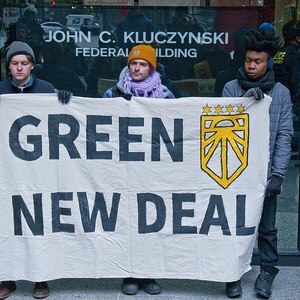 I was struck at this conference, as I have been at others here in Germany, by the way in which themes relating to social justice are brought into discussions about renewable energy and energy efficiency. (Any American who thinks that Obama is a socialist should try living in Europe for a while). Like many other countries, Germany is seeing a general migration of young people from rural to urban areas. By creating jobs and fostering innovation, bioenergy villages provide opportunities for rural youth. The conference presentations highlighted numerous examples of villages that have been re-energized and re-capitalized through their own efforts. At the other end of the demographic spectrum, retirees in these villages are often living on fixed incomes that have been outpaced by increases in the cost of electricity and heat. Stabilizing the cost of utilities is particularly helpful to the elderly and the poor, who spend a relatively high proportion of their income on these basic necessities. While the measurable benefits of bioenergy villages are well-documented, a less tangible but oft-mentioned outcome is the sense of empowerment that is shared by the villagers. Communities take pride in creating their own electricity and heat, in reducing Germany’s dependence on foreign energy suppliers (read: Russia, lately), and in helping to achieve the goals of the country’s ambitious Energiewende, or Energy Transition. Could we do it here? What lessons do Germany’s bioenergy villages hold for the U.S.? I have been pondering this question with regard to my own community and region. I live in a section of the Connecticut River Valley that was once characterized by thriving manufacturing communities — the so-called Precision Valley. I see similarities between the villages — some of them struggling — in New Hampshire and Vermont with which I am familiar, and many of the rural villages I have seen in Germany — especially those in the former East Germany. The challenges of translating Germany’s success with bioenergy villages to New England are admittedly substantial. Germany’s rural villages tend to be very compact, surrounded by open farmland. Americans like to spread out. 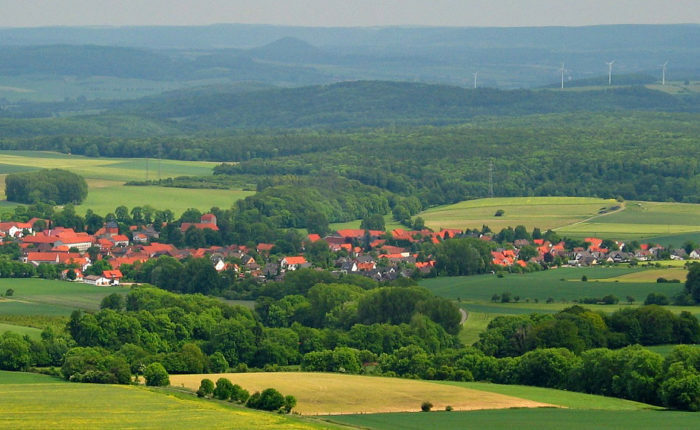 Although the German government has not specifically targeted bioenergy villages for financial support, many of the Energiewende’s programs encourage investment in the renewable energy systems on which bioenergy villages are based. Technologies that are common in Germany, such as biogas installations (roughly 8,000 to date), village-scale cogeneration plants, and district heating systems, have not been widely implemented in the U.S. Lower retail electricity prices in the U.S. make cogeneration potentially less attractive, and the availability of natural gas has undoubtedly hampered development of the biogas industry. Culturally, Germans generally seem to value consensus and cooperative action more than we do in the U.S. This cultural bias can be seen in the realm of national politics as well as in local communities. Despite the differences between Germany and the U.S. in the geographic, political, technological, and cultural landscapes, the fundamental lesson that I take from Germany’s bioenergy village movement is that success is possible, and even likely, given sufficient commitment from residents. The details of historic New England villages becoming net positive producers of energy will undoubtedly differ from those of Germany’s Bioenergiedörfer, but the compelling benefits will be similar. Have they done any studies on the impact to global warming from burning all the biomass fuels? How do the biomass fuels compare to coal and natural gas? One can find studies on the net that draw wildly divergent conclusions about the carbon accounting of burning biomass for power and heat. These include categorical statements ranging from “all biomass is carbon neutral when used as a fuel” to “burning biomass for fuel causes more damage to the environment than burning coal or oil.” So many factors affect the carbon emissions of biomass-based systems that attempts to draw simplistic conclusions are fraught with peril. Of course, many biomass industry advocates consider these guidelines too restrictive, while critics of the industry believe they don't go far enough. 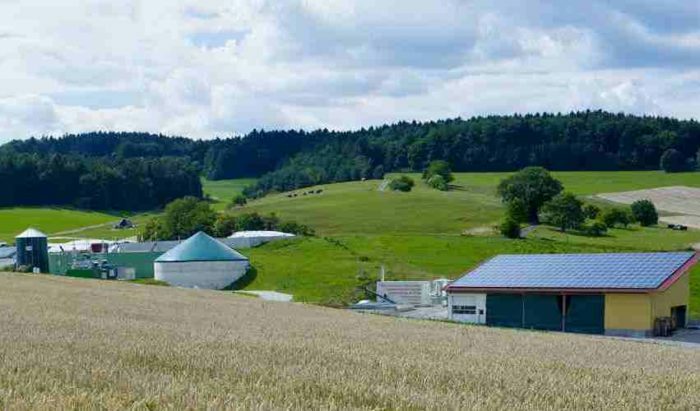 Most bioenergy villages in Germany start with a biogas facility that uses a mix of energy crops (corn and grain) and animal waste (manure) as a substrate. The studies I have seen of cogeneration systems fueled by biogas conclude that the net carbon release per unit of energy generated is much less than for fossil fuel alternatives. 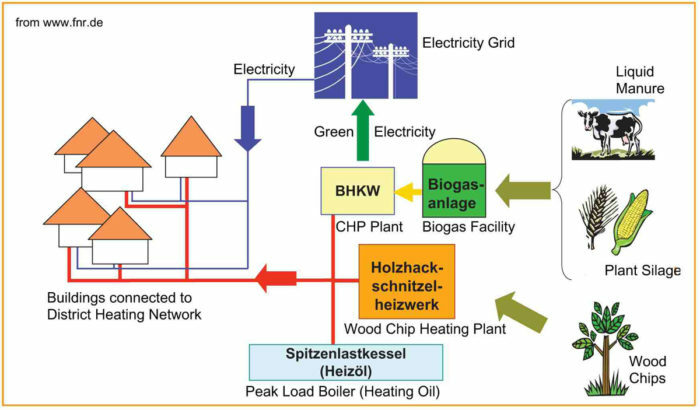 Bioenergy villages with access to woody residue may install a biomass-fired boiler to augment the heat provided by the cogeneration system. It’s these wood-fired biomass heating systems that merit careful scrutiny with regard to their fuel sources. My impression of the forestry industry in Europe is that it is highly evolved and well regulated. The EU intends for biomass to play an important role in hitting its renewable energy and carbon reduction targets. Andrew, great green blogs by you, another interesting topic.